I’ve been taking a look at my box of Dungeon Tiles lately, and realizing they aren’t getting much use. Normally, I tend to find maps I like online, be it from Wizard’s Map a Week archive, Dungeon magazine, or published modules, scale them up in Photoshop and print them out at a 1″ scale. This led to two things, both equally important to me. 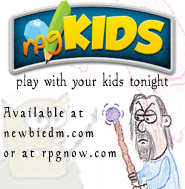 One, my players really do dig it. The maps are just a cool visual aid at the table that drawing on a flip mat can’t compare to. Two, I’m wasting a lot of ink in the process, and it’s coming out of my wallet alone. Now, I make a decent living, but I’m not in the business of supplying Cannon with a steady income because of my D&D habit. So enter my Dungeon Tiles. I tend to pick up a pack whenever a new set is released, but ultimately they haven’t been seeing much use at the table. It’s just really tedious to pull them out and arrange them in the middle of a session, so I’ve ignored them. But not anymore. The past few days, I’ve been creating rooms with the sets I own, and I’ve found that they really open up your creativity. You can arrange so many different encounter areas, that it’s very easy to build, then craft a story around the room you’ve just designed, rather than the other way around. For the climax of my heroic tier campaign, transitioning towards paragon, I needed a battle map of a library. I searched all my usual map haunts, but couldn’t find a good one, so I made my own using Dungeon Tiles. I found that the room wrote itself after a bit of arranging and playing around with the tiles. The terrain will be dynamic, using the new DMG2 terrain crunch. I’m sure you all know this trick, but holding down the tiles unto foam core with a bit of putty really does the job of keeping them in place. You can place tiles on top of each other this way as well, adding layers of terrain to the scene. I wouldn’t recommend the putty staying on for days though, as it may harm your tiles. Set the scene whenever you are prepping, take a picture, then using the pic, build them early on the day of your game with the putty to hold them down. 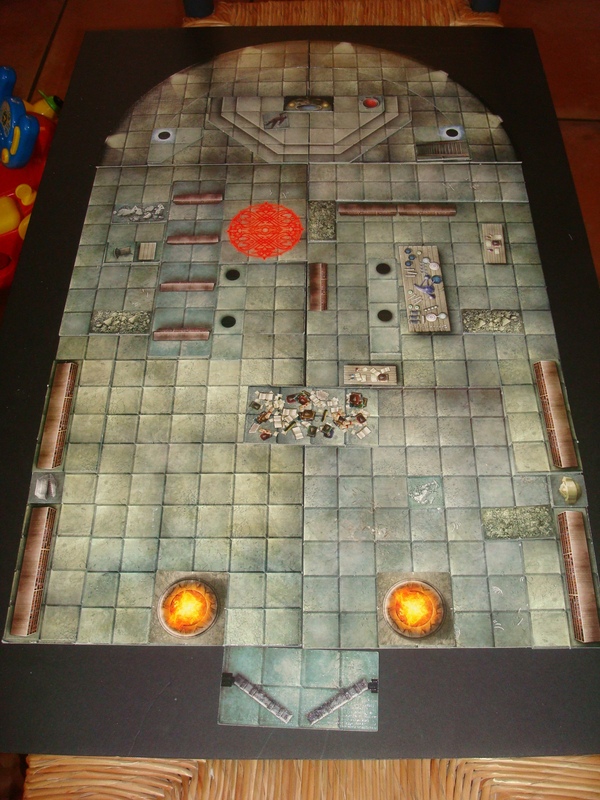 You may want to own several sheets of foam core to have several encounter areas pre-built the day of your game. For a while I was making the mistake of designing a room, or looking at a published campaign, and trying to figure out a way to make the tiles fit the scene. Obviously, it didn’t work most of the time, and that’s what led to me giving up on them. So the moral of the story here is, use your tiles. There are plenty of forum posts that I’ve read where people say that they are just tossing them aside for the exact reasons I’ve mentioned. Don’t! They have great artwork, and can inspire things you hadn’t though of before. So if you’ve got sets of tiles you’re not using, take them out of storage. Start arranging them and see what develops. Come up with a cool room, then build a story around it, work it in reverse. Design blindly then populate it with ideas. You never know what might come out of it! ← What’s cool about the DMG2? Obviously care is necessary the longer the putty stays on (I typically roll the putty off slowly and it does the trick) but I will confirm that the putty can stay on longer than a week without damage to the tiles. On more than one occasion, I’ve set up the week’s encounters on foam core and had that week’s game fall through…so the game stayed on the board until the next week. Actually, if anything, leaving it on longer just made it come off easier. By the end of the week I had pieces falling off from “putty fatigue” just by sitting in the corner waiting to be used. those articles. 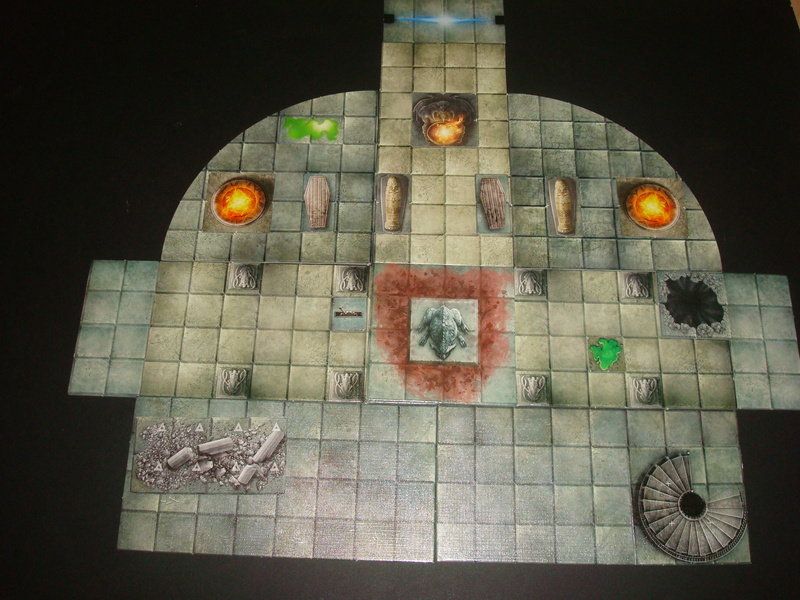 The biggest frustration I’ve had with using my bought dungeon tiles is wanting to make something about a room symmetric, but only having one of the necessary tiles (something like having a double spiral staircase into a great hall, but only having one spiral)…don’t let that get you down! While you’re using your own tiles, remember that combining them with printed elements, or with printed elements mounted and turned into custom dungeon tiles, will still save you money on ink, while giving you more flexibility when creating rooms. WoTC has a dungeon tile mapper program (http://www.wizards.com/default.asp?x=dnd/dnd/20061121t). Personally, I don’t use tiles. I think they sort of limit the ideas of maps and rooms. But I have to admit they are cool, and I’m certain if I had a stack to shuffle around, it would indeed add a little inspiration to planning out my next session. Just bought another two packs last night. Using tiles can be challging, if your going to build your encounters in advance i recommend getting some straight pieces of cardboard, and use sticky tack to hold the tiles down. The sticky tack will hold the tiles in place for a few weeks. Also You can use overhead projector sheets on top of your tiles, to add your own flair with dry erase markers. the downside is that sometimes you need to buy multiple sets, or building the encounter while you play takes away from game time. Love your maps, pretty solid. If you have a Canon printer, there are excellent third-party ink manufacturers. I buy carts for my PIXMA iP3000 for about $5 each and the quality has always been excellent. I’ve only had a problem with one cart, which was over-full and leaked until I gave the cart a squeeze over a paper towel to relieve the pressure. If you have one of the newer ones that uses a chip to track usage, you can get a chip resetter for $15… I bought one for my wife’s PIXMA MP502 and it works like a charm. Just snap the chip off the old cart, snap it into the replacement, pop it in the resetter for a few seconds and it’s good to go. Ink doesn’t have to be expensive, and you don’t have to get into messy refilling to get a good price. Also, this makes for nice one-session sided dungeons for groups that don’t get togeter that often but still want a sense of accomplishment. Me too, have stopped using my tiles long ago. Exactly like you said, the tiles never seemed to fit my encounter ideas. I think your “make the room first, then fit the encounter around it” strategy might work better 🙂 I will try it for this week’s game. Yeah, the poster tack / foam board method for dungeon tile maps has really worked well for me for years. Which sets do you own? How mahy of each? A set of each except “streets of shadows”, and a few multiples of set 2 and 3. These days I typically buy two sets of each as soon as they come out, usually one a week (when my weekly Borders coupon arrives). I’ve also recently discovered MasterPlan, and am using their Tactical Map tool with tile libraries I got from the PyMapper Yahoo group. You can save the maps out as .jpg files, for easy numbering etc.